This summer, the MFA Products of Design program at the School for Visual Arts (SVA) is delivering a sweet solution to students and community members who seek temporary desk space. The Summer Desk Rental program runs from May 27th to August 23rd inside a sunny andArchitects-designed space, featuring a community kitchen, Internet, a lounge area, and more. 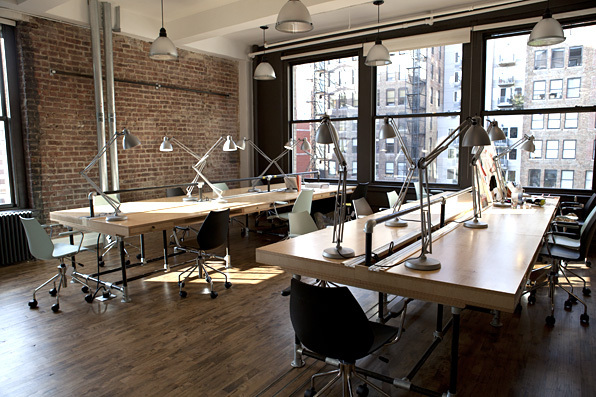 Co-Working has become an everyday occurrence as industries look to collaborate and benefit from multi-use spaces. The project promotes the MFA program to visitors and all proceeds will support the school and its students. See more photos and sign up on their website.